The Boltzmann hypothesis of molecular chaos (“Stosszahlansatz”) closes the classic kinetic equation. Equations of classic hydrodynamics that directly follow from the Boltzmann equation inevitably contain the error involved in the derivation of classic kinetic equation. The physical meaning of the error introduced by the Boltzmann hypothesis in the equations of hydrodynamics is as follows. Only the Boltzmann hypothesis makes it possible to build hydrodynamics for only three lower principal hydrodynamic values, say, density, velocity, and temperature. The Boltzmann hypothesis also excludes objectively existing higher principal hydrodynamic values from participation in the formation of hydrodynamics equations. Thus, the possibility of the improvement of classic hydrodynamics equations should be sought toward an increase in the number of principal hydrodynamic values. The idea of separating gas particles into pairs allows using the higher principal hydrodynamic values when constructing equations of hydrodynamics. Two particles are called a pair if they either move towards the collision with each other or fly apart after the collision with each other. Created formalism allows hydrodynamics equations to be built with an arbitrary number of principal hydrodynamic values specified beforehand. As expected, classic hydrodynamics experience difficulties when interpreting states of medium, which are far removed from the state of statistical equilibrium. A detailed evaluation of the results of direct numerical integration of the Navier-Stokes equations against experimental data in an unstable regime of flow around a sphere reveals a number of obvious discrepancies. Most importantly, observed transition from a stable regime of flow to turbulence is invariably accompanied by the appearance of regular vortex shedding. There are no such experiments in which chaotic regime replaces regular stable flow bypassing vortex shedding modes. On the contrary, calculated transition from a regular stable mode to the chaotic deterministic one occurs directly, bypassing the vortex shedding. Thus, the solutions to the Navier-Stokes equations lead the development of instability along the direction of incompatibility with the experiment. The movement in the wrong direction doesn’t allow these solutions to interpret the turbulence correctly. 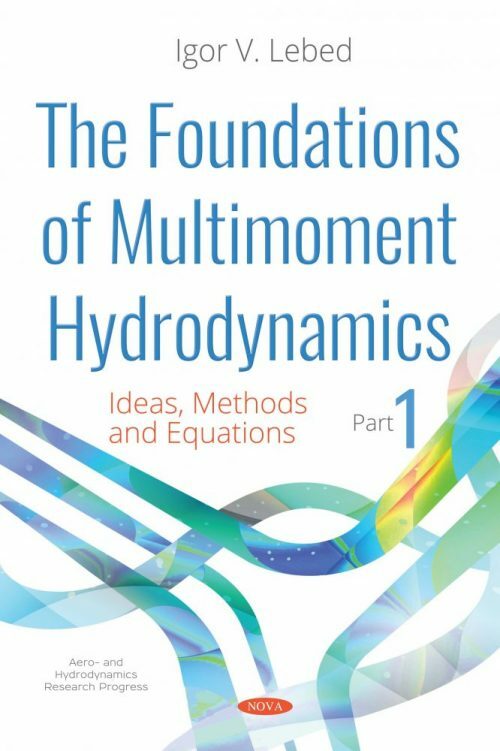 Equations of multimoment hydrodynamics are created to solve these problems. The solutions to the Navier-Stokes equations suggest a single scenario for the development of instability; this is the Landau-Hopf scenario. The Landau-Hopf scenario is simple and uncomplicated. It interprets the process of development of instability as a sequence of transitions from one stable solution to another. On the contrary, the appearance of a vortex street is a complex multistage physical phenomenon. An increase in the number of principal hydrodynamic values in the equations of multimoment hydrodynamics essentially enriches the scenario of development of instability by new actions. These actions are not available for solutions to the equations of three-moment classic hydrodynamics. It follows that the Landau-Hopf scenario does not have the slightest prospect of reproducing the phenomenon of vortex shedding. An analysis of the experimental data shows that the transition to turbulence occurs as a result of chaotic distortion of the regular vortex shedding in any shear flow (wakes and jets, pipes and channels, shear layers, etc.). It is likely that this is the only mechanism for the development of turbulence. In this case, the turbulence of the shear flow is nothing else but a regular regime of vortex shedding distorted by excessively overgrown stochastic fluctuations. The monograph is intended primarily for specialists in hydrodynamics, kinetic theory, and statistical mechanics, and may be useful to anyone who uses equations of motion of continuous media.